It is a pleasure to announce the launch of the Nemo’s Garden Project (ORTO DI NEMO) 2015. 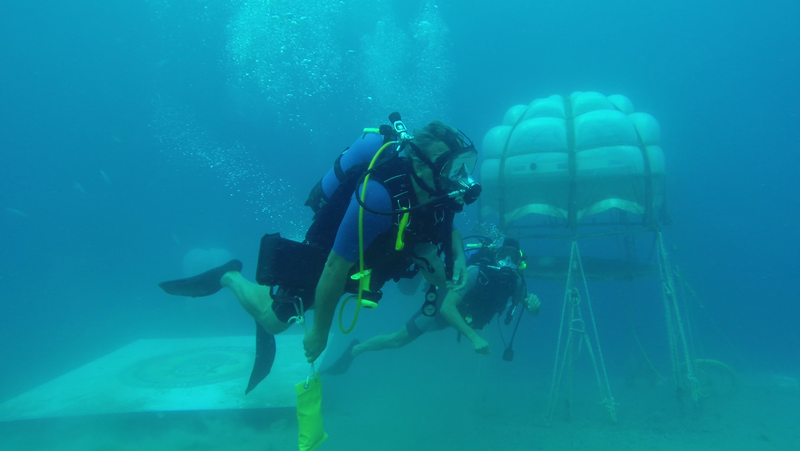 Started in 2012 and continued through the summers of 2013 & 2014, the Project aims to engineer and install underwater structures in which terrestrial plants destined for human consumption may grow. The main target of this project is to create alternative sources of plant production in areas where environmental conditions make it extremely difficult to grow crops through conventional farming; including lack of fresh water, fertile soils and extreme temperature changes. We are trying to find an alternative and economically viable technology enabling efficient production, and thereby creating a marketable vegetable for human consumption. Nemo’s Garden will be located in the Bay of Noli, in the province of Savona, Italy. The transparent "biospheres" are anchored to the bottom of the sea and float at different depths. Due to the nearly constant temperature between day and night, and the evaporation of the sea water that condenses on the inner walls of the biosphere, it creates an ideal condition for the growth of plants. A sustainable system! There are 5 different biospheres, varying in size and architecture, floating between the depths of 18 and 36 feet. Each has a series of seedbeds placed inside them to grow crops. In May Nemo’s Garden Control Center will be installed. 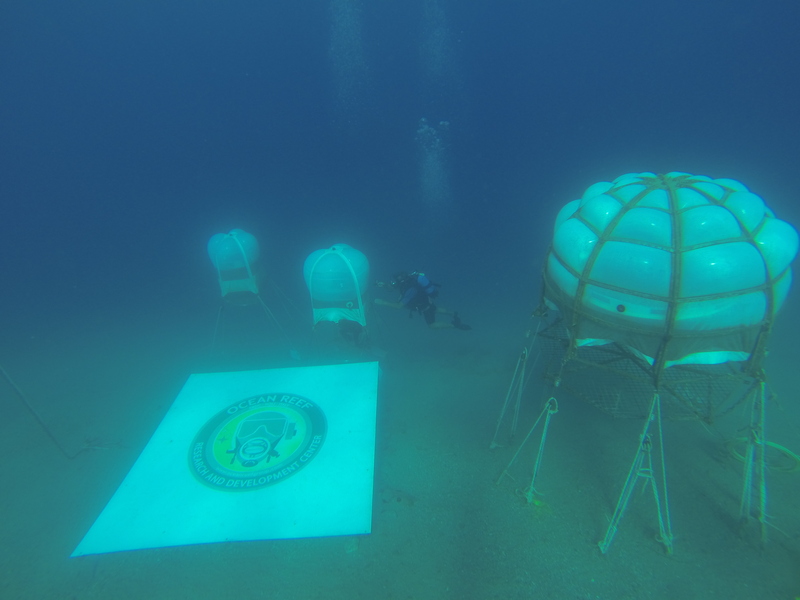 From this surface support station on the shore we will be able to monitor the status of crops, communicate with the divers on the project, and control the physical environmental parameters. All of this information will be available on the internet, through a control panel that can be operated remotely. In June the underwater structures will be installed, with the first planting before June 25th. It will be the START OF THE ADVENTURE!!! Nemo’s Garden will be accessible via Ustream and Skype from anywhere in the world! Four cameras will monitor the stretch of sea containing Nemo’s Garden, the entire underwater habitat and the inside of the biggest biosphere, constantly following the project with a live internet broadcast. 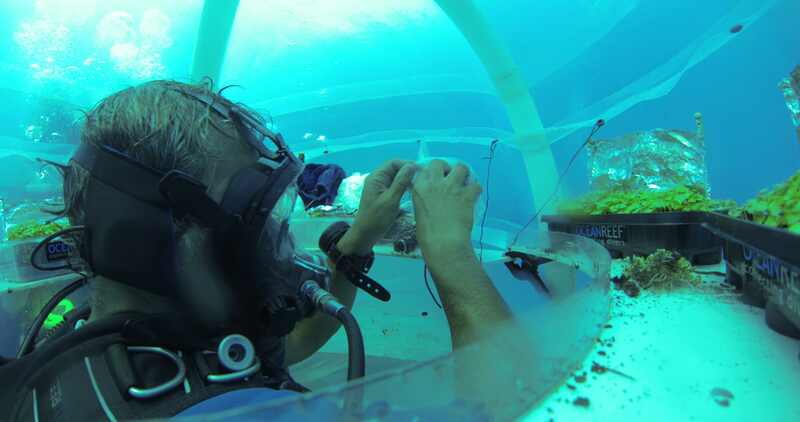 The "underwater farmers" who look after the habitat will be in constant communication with the Control Tower on the shore via ultrasonic underwater communication systems and through an intercom in biosphere # 3. Each week we will be organizing a live broadcast from biosphere # 3, and from underwater, to describe the progress of the project. The live broadcast will be available through the internet on Ustream, OCEAN REEF International Channel or OCEAN REEF Channel 1. In the spirit of creating a network of collaboration between specific and diverse skills, this year CERSAA, (Center for Agricultural Experimentation and Assistance of Savona- Italy ) a member of the Regional Centre for Research and Technological Innovation "Energy-Environment," will also develop projects in Nemo’s Garden. For the last two years they have provided us with a chemical analysis of our “harvest” and we are particularly pleased to be partnering with this excellent center. 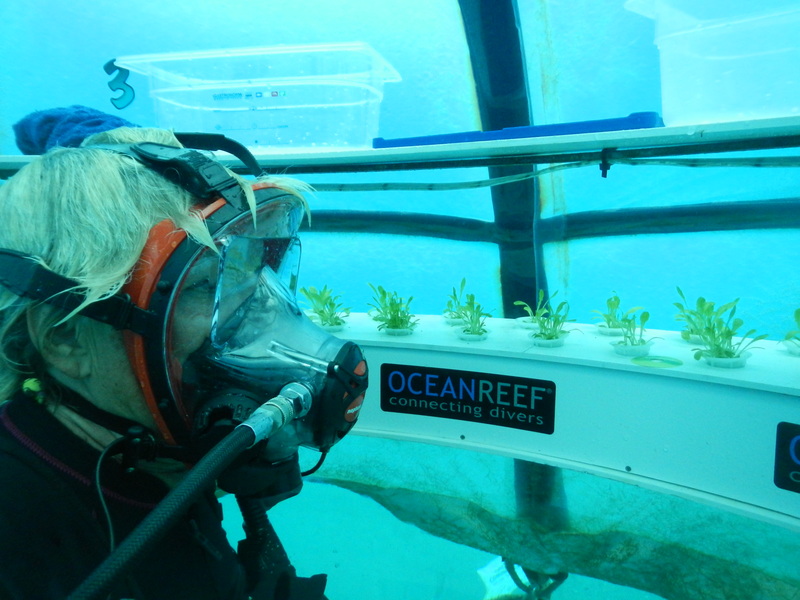 With the experience gained over years in the diving world, OCEAN REEF wants to create structures, in constant implementation, that can be used by public and private entities not only for research but also with real world application. Nemo’s Garden will be featured at EXPO 2015, The Universal Exhibition, http://www.expo2015.org/en/index.html?packedargs=op=changeLang in "The Powers of the Limit" at the Italian Pavilion. One project from each Italian region was selected, presenting 21 creative solutions regarding the future of food for the entire planet. We are very proud that OCEAN REEF Project was chosen as one of the most interesting and innovative in the country. EXPO 2015 will open on May 1st 2015 and for six months will entertain more than 20 million visitors from 144 countries around the world. The total cost of construction of all the Pavilions was over 1.1 Billion Dollars. At this Universal Exhibition, OCEAN REEF is proud to share its technologies and introduce a possible alternative for a sustainable future!.